Altogether 192 meritorious students were awarded cash rewards and 88 scooties among BPL girl students as incentives were distributed by the BTC Education department on Friday as part of the second day’s programme of the sixth Baukhungri Festival at Harinaguri of Kokrajhar. During the programme, the department distributed financial assistance of Rs two lakhs each to three HSLC, HSSLC and AHM rank holders, Rs 1.5 lakhs as first instalment to 12 students for UPSC coaching, Rs two lakhs each to 18 IIT students, Rs two lakhs each to eight IIM students, Rs one lakh each as first instalment to 41 medical students, Rs 50 thousand each as first instalment to 22 NIT students, Rs 50 thousand each to 88 students for pursuing PhD. 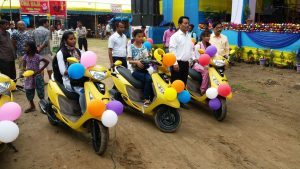 Apart from that 88 scooties were distributed to BPL girl students through the hands of the chief guest, BTC Deputy Chief Kampa Borgayari; guests of honour, Executive Members Doneswar Goyari and Ansumwi Khungur Boro, BTC Principal Secretary Biren Chandra Phukan and other dignitaries. 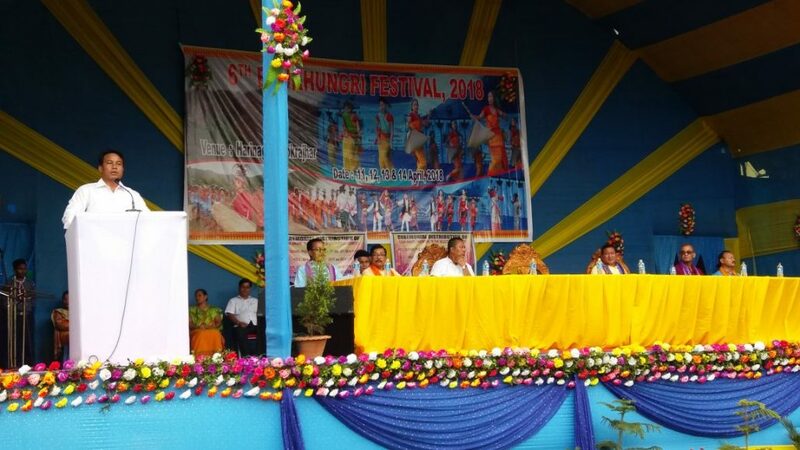 In his speech, BTC Deputy Chief Kampa Borgayari said that the literary rate in the area was extremely low before 2003. But the series of developmental activities being done by the present administration have brought a new change in the field of education. He further assured of implementing various student welfare schemes through proper planning in future. EMs Doneswar Goyari and Ansumwi Khungur Boro also requested the students to properly use the financial assistance for their academic carrier. Earlier, a trekking competition was held was also held from Harinaguri High School playground participated by a total of 91 participants, including 73 male and 18 female, from across the country. The participants came from Uttar Pradesh, West Bengal, Bihar, Nagaland, Tripura and the host state of Assam. Yagendra Kumar of Uttar Pradesh, Vijay Deka of Assam and Dulu Sarkar of West Bengal bagged the first, second and third positions among the male participants. While in the female category, Sameli Singh of West Bengal, Dipali Chutia of Assam and Matuara Ahmed of Assam were adjudged first, second and third respectively with the timings of 46.51, 47.05 and 50.19 minutes.